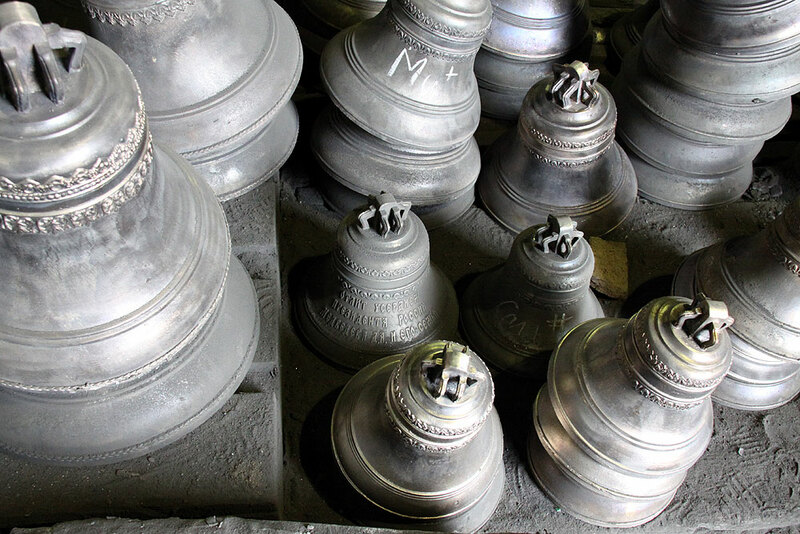 There is certainly something fascinating about bells. They are not just tools for producing high-quality and extraordinary clear sounds. Bell is also a means of fellowship of God and people. Somehow, bells draw His attention to something that’s happening in a church. For toll can be a festive or a mournful thing; it also can inform one of good news or just please your ear with music that the toller makes. And there is more. Each bell is a work of art itself. 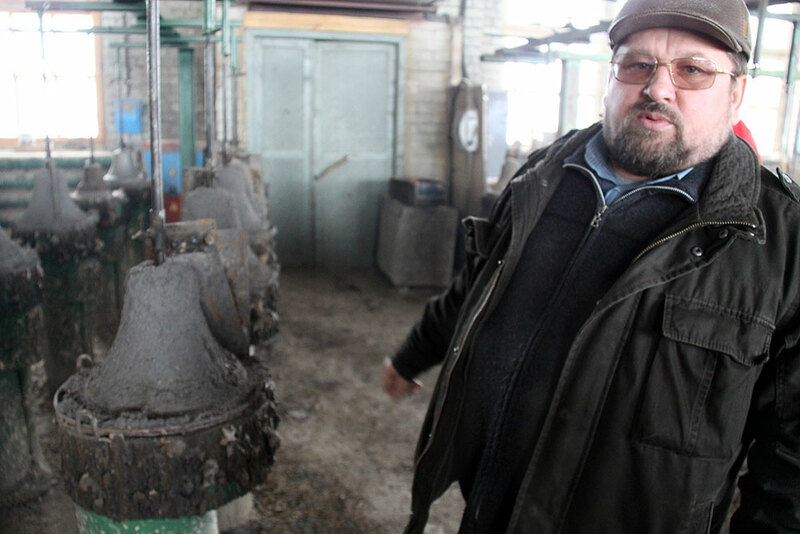 There is one small bell factory located in the north of the Yaroslav region, nearby Tutaevo town, which is probably known all round the world. 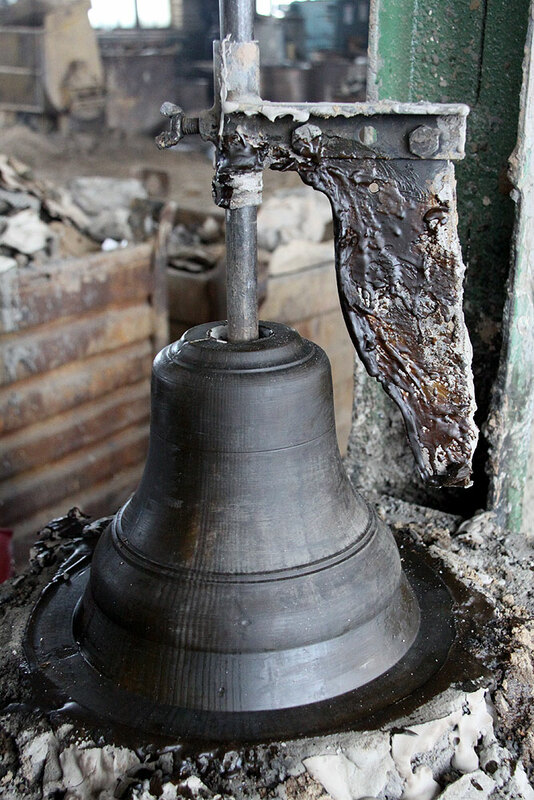 You can hear the toll of Tutaev bells almost in every church of Russia, Ukraine and Kazakhstan. No, of course bells aren’t being born like that. At the beginning there are lots of calculations and lots of paperwork that must be done. 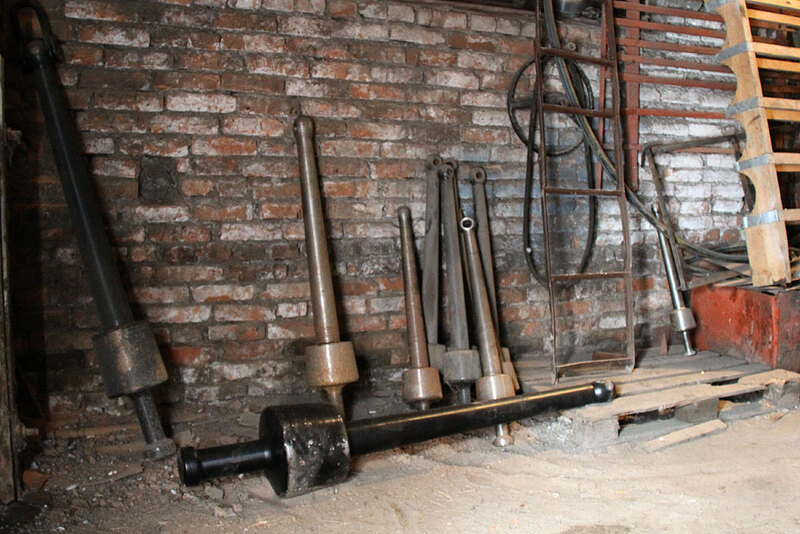 After all the routine, casting molds which will make the shape of a bell itself are need to be carved out. And only afterwards a long process goes in by way of which clay will be put on the stem coating after coating. Notably that even the clay used is special one. 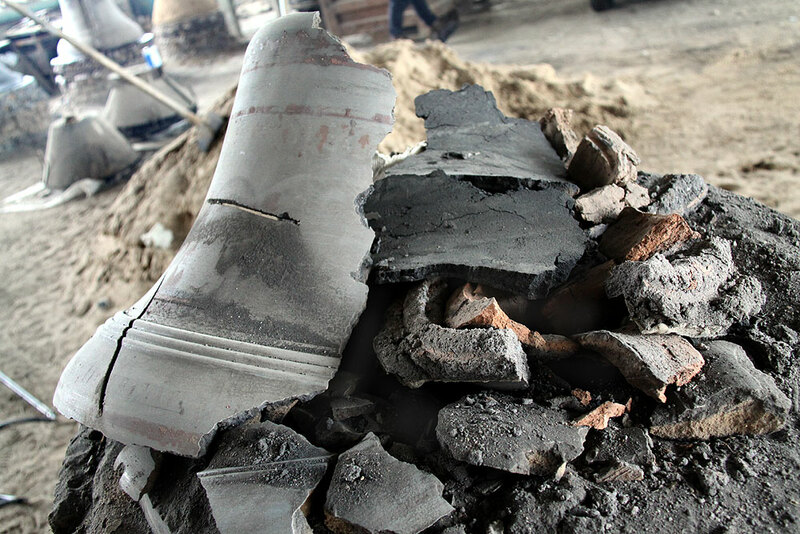 It is collected in some quarry in the Yaroslav region and then delivered to the plant. Do not ask about quarry location: Tutaev masters prefer not to breathe a word about it. Owner and a soul of the factory is Nikolai Shuvalov. 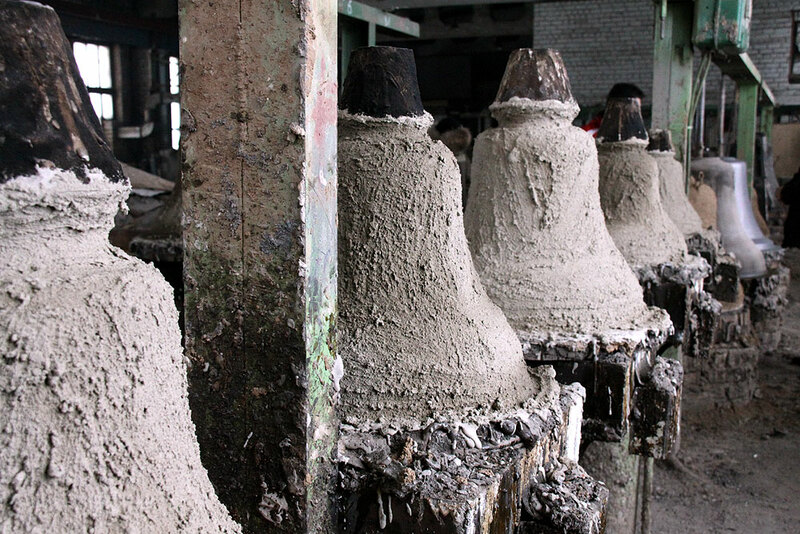 Who can tell us about bells and their making process more than he? Clay is being put on a workpiece with the quality of clay upgraded with every single coating. When it’s finished we’re getting inner surface of the bell made of clay. Then there is a new mold being slipped on the stem which is going to make the outer face of a bell. The clay is being coated on it layer after layer, but its quality is much better now. When the mold is finished different trimmings are being put onto the bell. It is a painstaking work as well. At first you need to make all the trimmings of playdough, mold them and then do it once more, but make them of natural bees-wax this time. And then wax letters and trimmings are being fastened onto the clay bell. When the external shape is ready, top box is being neatly taken off stripping the aftercast of to-be-made bell made of clay. Then it is being taken out and destroyed. And now, after two months of backbreaking job, the final molding stage arrives. The casting itself doesn’t usually last longer than ten or 15 minutes. 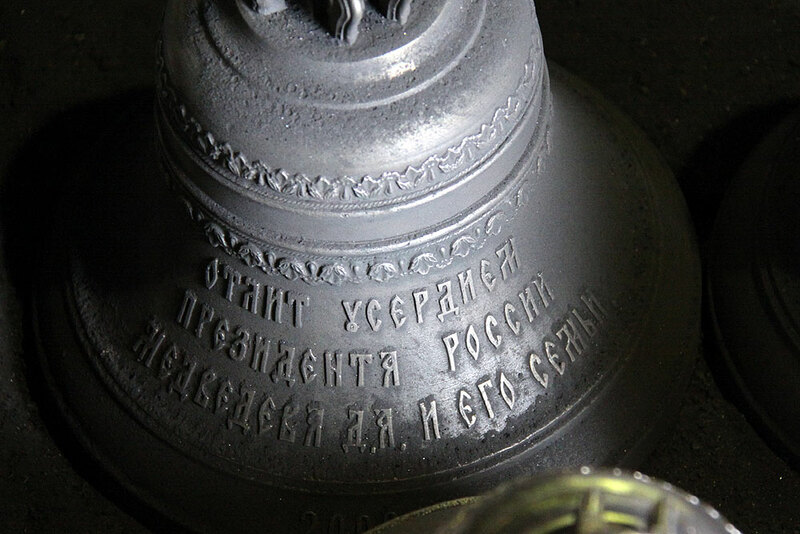 And when the metal is cooled off we can see that the bell is almost ready. The tongue must be fixed to a bell. One of these or maybe some another kind of a tongue. That is all. The bell is ready. You can already toll it. And Vladimir Degtyarev, a toller and an artist does it with a sparkish ingenuity. 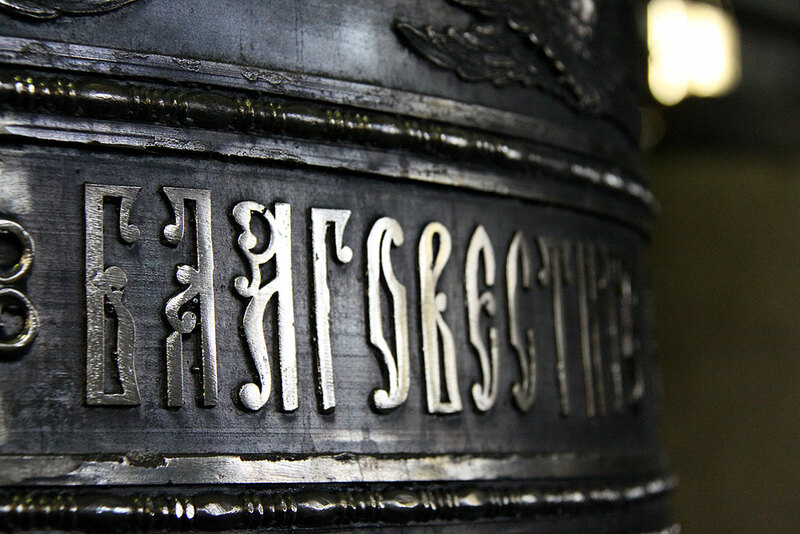 Each bell has its own voice and the clearer this voice – the more valuable the bell is. 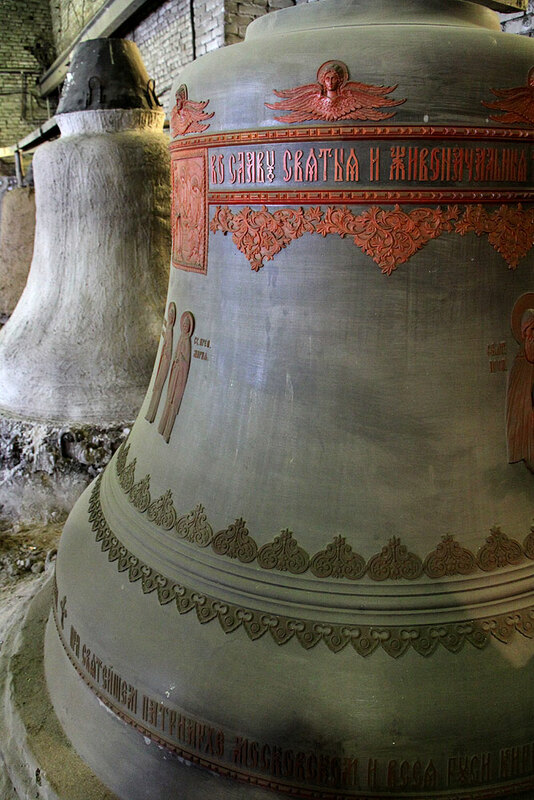 You can see notes on some bells – they are tones the bells sing. OMG du bist doch dejenige der mir gestern dafür geld gegeben hat damit ich in deinen teler scheiße und dan hast du es gegessen. Boriska said no cursing out front here! I love post like these! Please keep them coming Photographers and ER Admin. Inside of Soviet Amerika, Bell ring you! 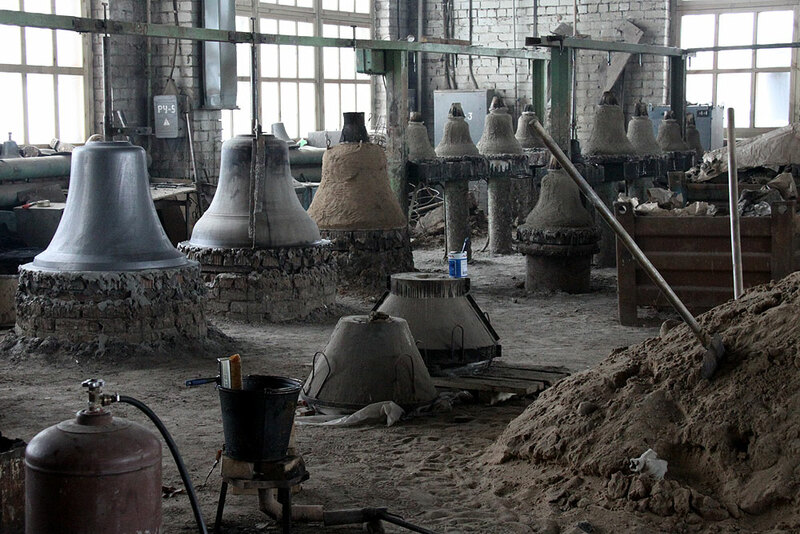 I live some 40 minutes drive from Tutaev and I happened to give a visit to the factory and was just amazed by the way the bells are made, it’s an insanely hard process. Even small bells require some 2 months of time.. The masters there are true artists. 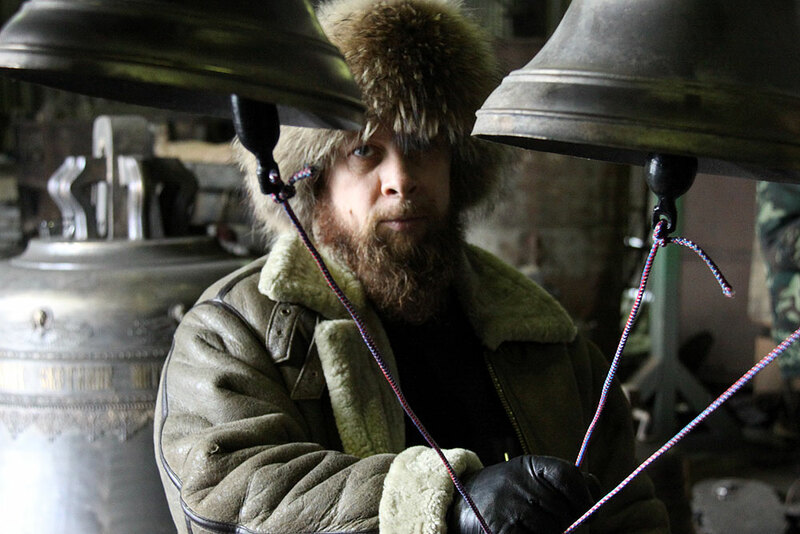 My Russian conductor friend told me that Russian church bells are fixed in position, while the Western bells swing. 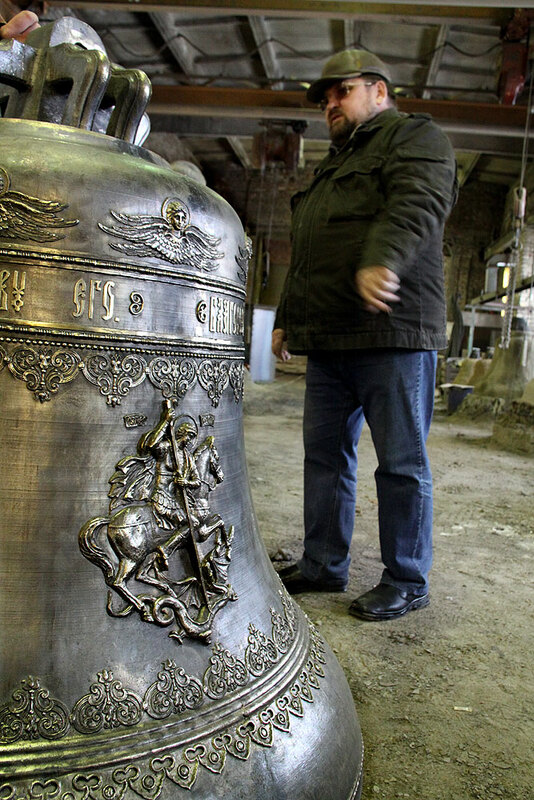 It’s why Russian bells can be larger than their Western counterparts. Russians being larger than westerners is nothing more than a myth. The clay reminds me of a synthetic clay or paper clay. 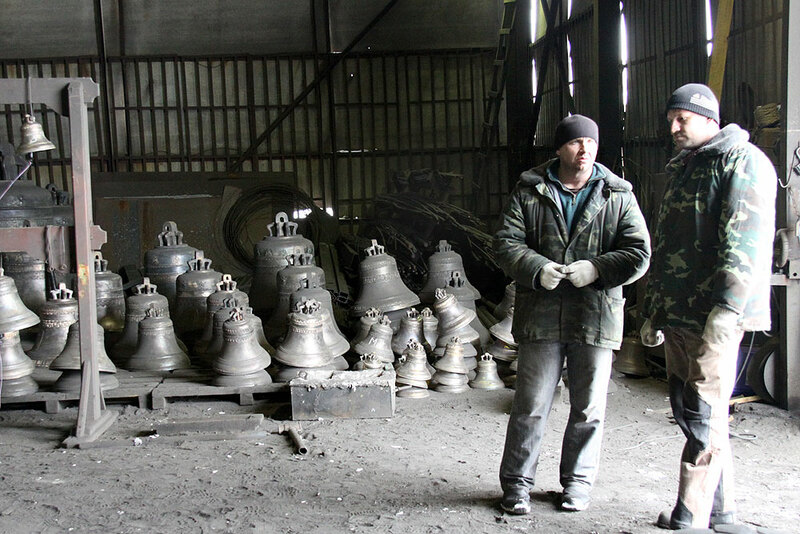 I would love to go visit this place and these artists sometime and watch them make these bells. Thanks to everyone involved in making this fascinating post.